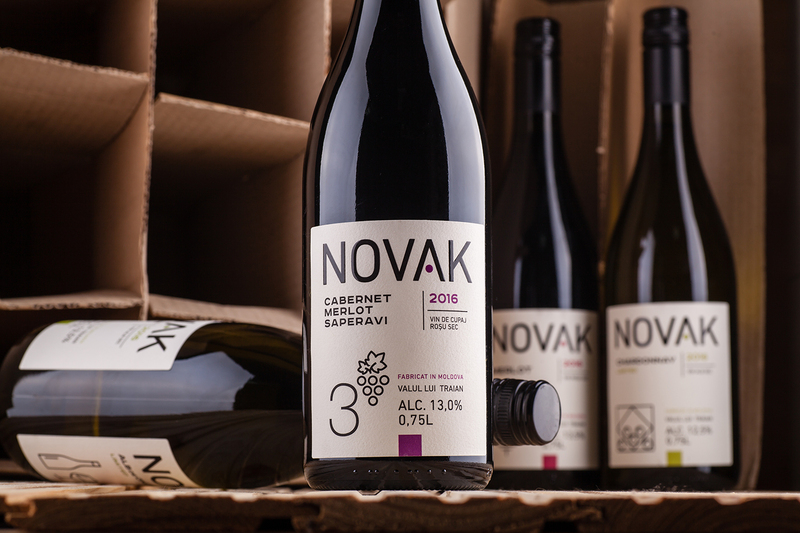 Novak is a new wine brand on the Moldovan market, produced by a company with a very rich history. 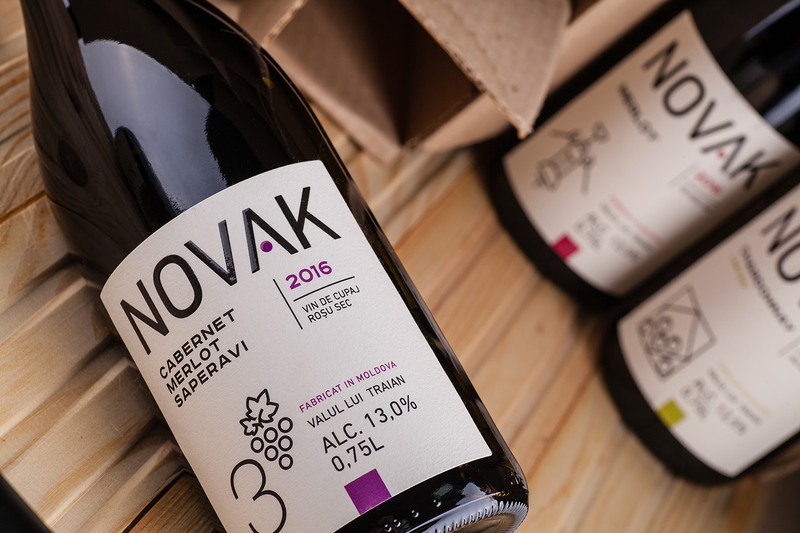 Located in Comrat, in the Gagauz region in the south of Moldova, this wine producer owns a lot of vineyard terrains, and historically is very active in external markets, exporting wines and raw wine materials to various countries. 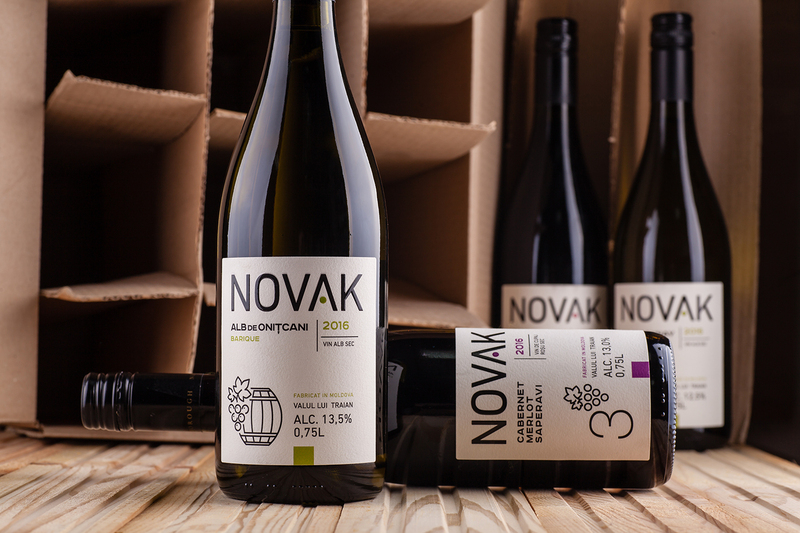 That is why, when a decision was made regarding the creation of a separate brand for the domestic market, the general concept was chosen one that is rather modern, even if a bit daring, which emphasizes the active and open philosophy of the producer. 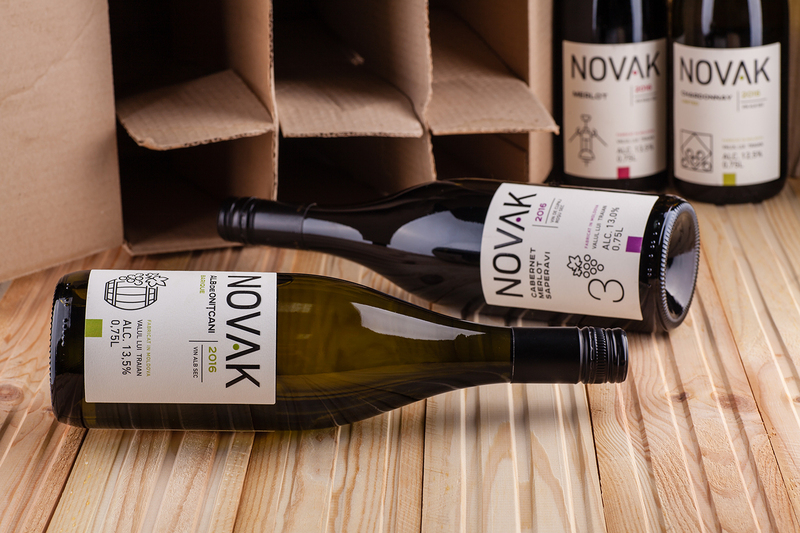 First of all, Novak is quality wine for young adults, who appreciate quality and original products with character. 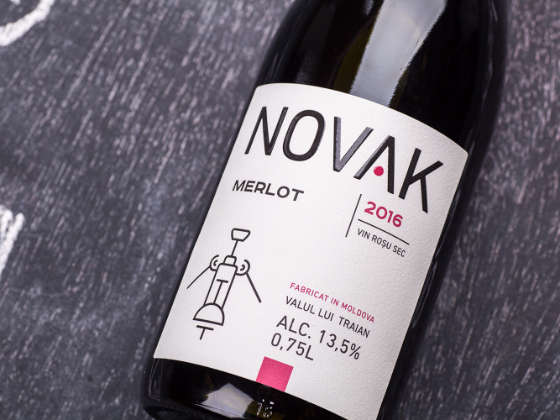 That is why the visual concept was executed in a rather innovative and non-standard spirit in terms of the Moldovan market. 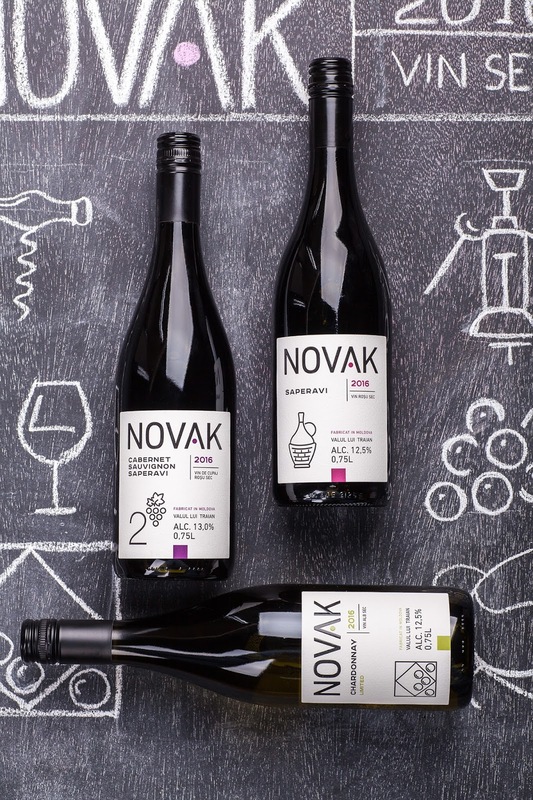 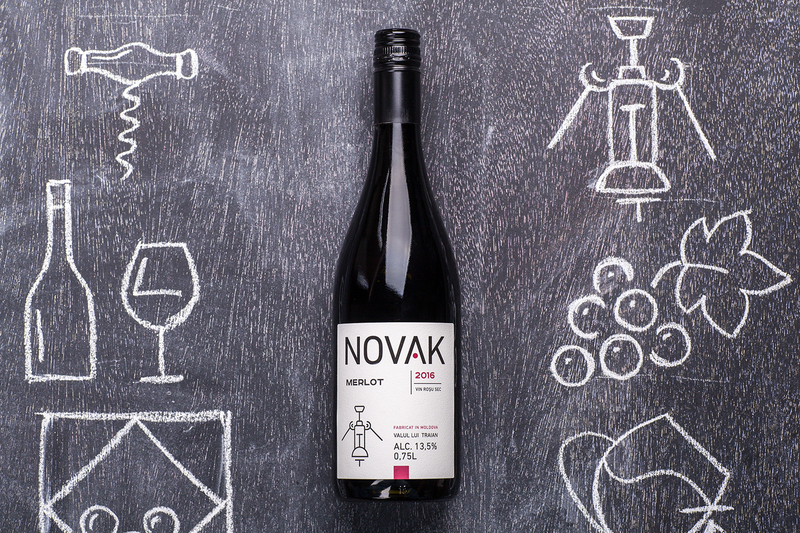 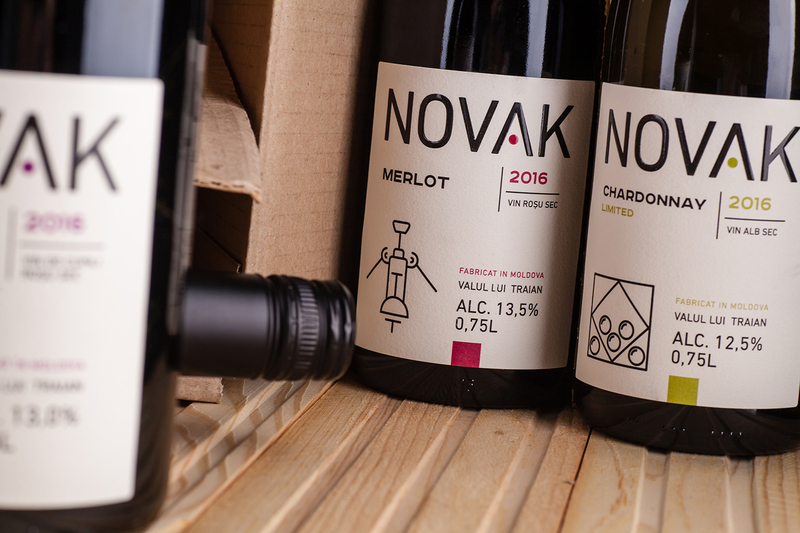 The general concept of Novak wines wields a modern, functional-informative context, which makes the product stand out from the classic label designs of the competition on the shelf. 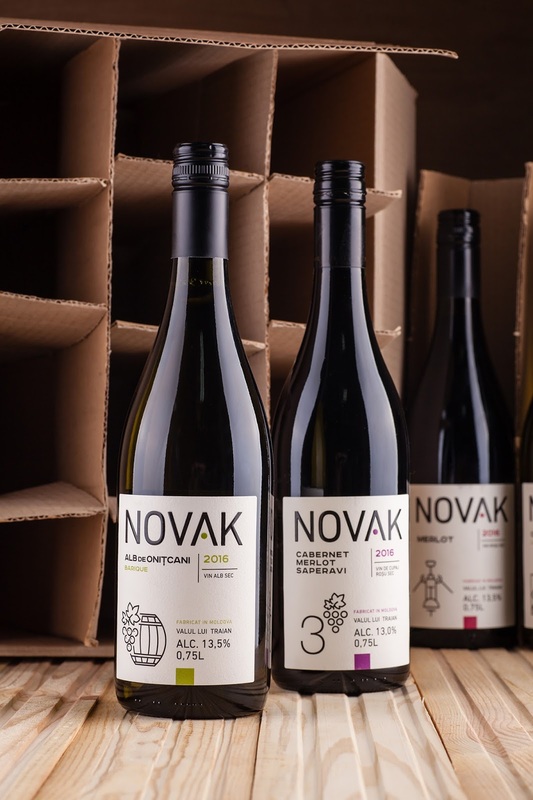 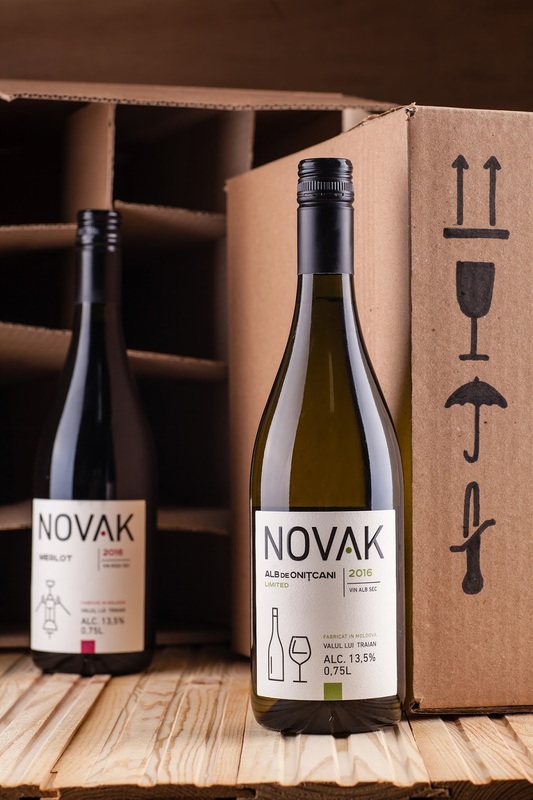 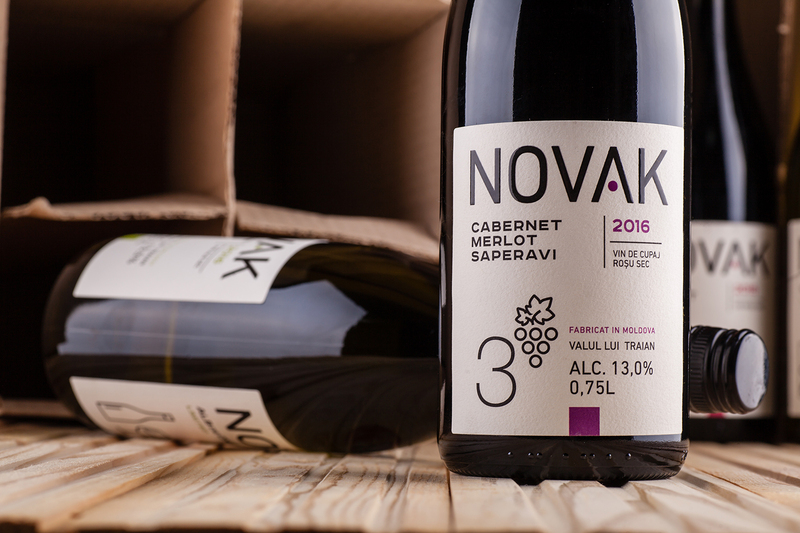 The export activity of the producer has served as the source of inspiration for the Novak label, which looks more like a cardboard box design, with the icons resembling the international markings used in trade and shipping. 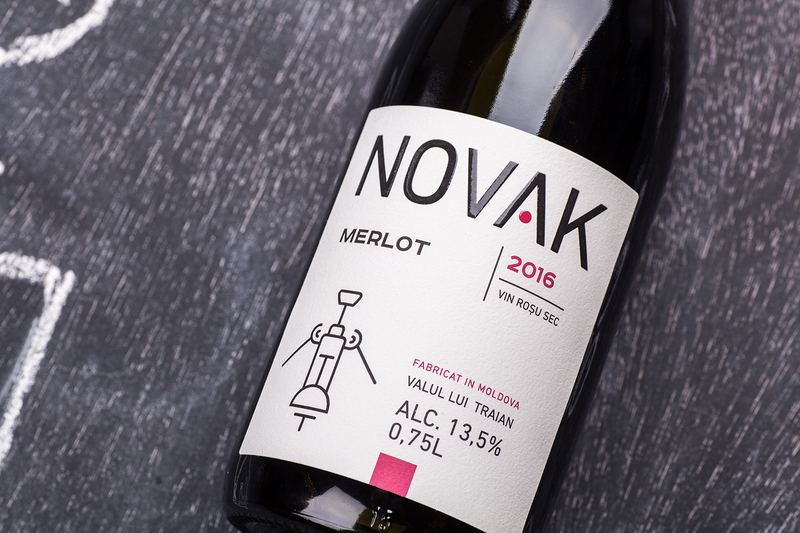 At the same time the label uses expensive wine paper, while some elements are additionally processed with tactile varnish. 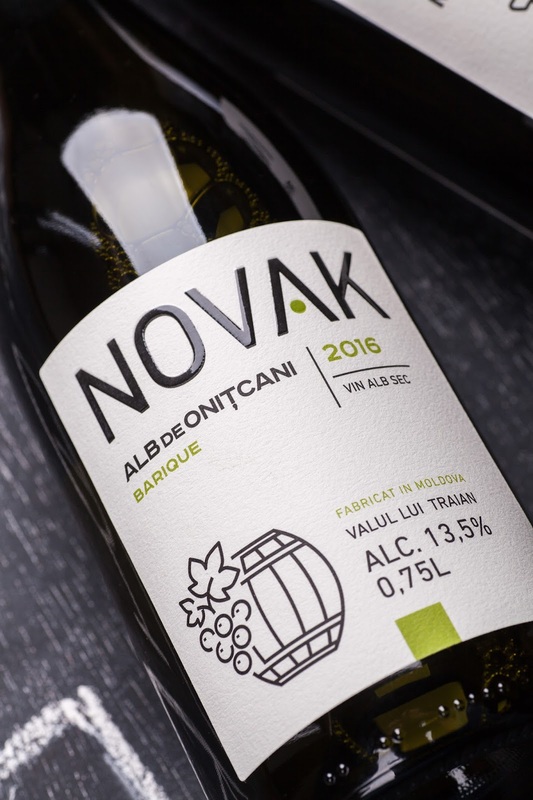 Thus, the functional and laconic design allows the product to speak for itself, presenting the consumer with only the necessary technical information.